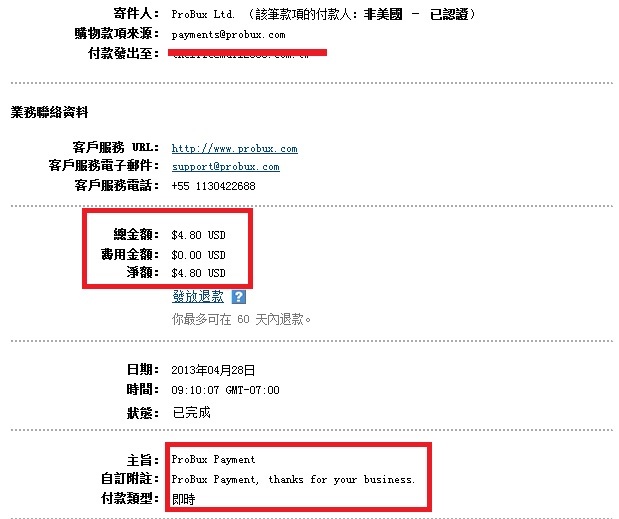 2013/04/28 at13:10 You have been paid to your paypal account! The amount paid was:$5.11. 2013/01/18 at07:12 You successfully registered at ProBux.